It’s obvious that we like to simplify group travel for you at Travefy, even our core value hangs above our heads in the office stating, “To bring people joy in the way they plan, experience, and remember their trips together”. 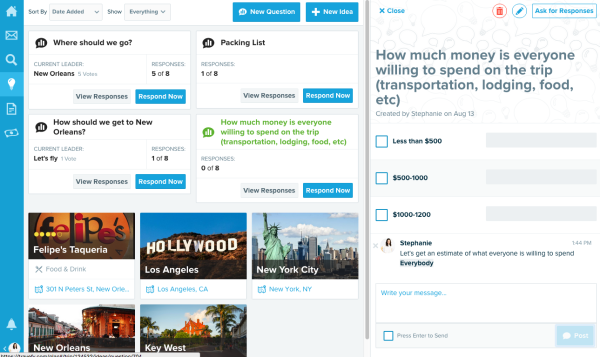 Safe to say we will do almost anything in our power to make your travel planning as trouble-free as possible, which is why we released our new “Questions” feature. The Questions feature isn’t like any other feature, its seamless experience allows you to decide and plan what you’re going to do, where you’re going to stay, who wants to go where when, and so much more! There’s an unlimited potential built into this nifty tool. To get your wheels spinning and ideas flowing, here are a few ways we recommend utilizing the Questions before taking the plunge to effortlessly plan the best. Trip. Ever. The first part of planning the trip is figuring out where the trip will be and when. You can load destination ideas into the Ideas & Discussion section of the trip, then create a Question and let everyone vote. The winner will reveal itself on the main Ideas & Discussion page. And the winner is…New Orleans! You have the destination and date set–woohoo! Now it’s time to find a place to lay your head down each night. 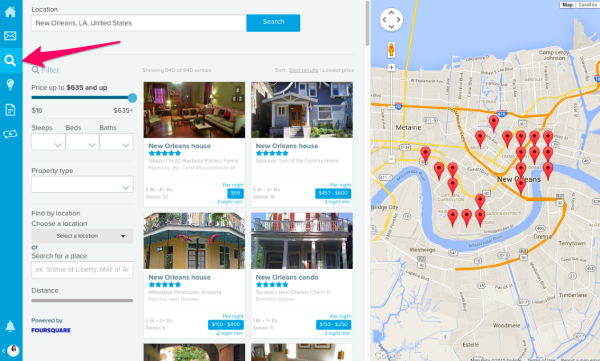 Use Travefy’s “Discover” tool to find hotels and vacation rentals to add to the Question’s poll. A trip should be memorable for all and no one should be left saying, “Dang, I wish I would’ve eaten there while I was in town…” Check out the Discover page and search for Food & Places in an area. You can even search for specific types of cuisines and restaurants. Save your ideas and create a Question later for the group to choose. “Who’s got that?” “Who wants to be in charge of this?” This might be what a super annoying group chat might look like. Well, text angrily no more! Create a list within your Travefy trip and let others add to it and check off what they’re bringing. 5. Hold up, how much is this trip even going to cost? Everyone has a different view on budgets and now is your chance to settle the score once and for all, and before the trip and receipts start to add up. This goes hand-in-hand with the group’s budget assessment. Obviously, there’s a budget-friendly way to get from point A to point B, as well as a quick and costly alternative. Is there a way a different way you like to use the Questions feature? Share it with us in the comments!